New team members join Paras Biopharmaceuticals. Paras Biopharmaceuticals upgrades its purification suite to expand existing capabilities. Paras Biopharmaceuticals expands its purification suite with the addition of low-pressure AxiChrom columns from GE Healthcare Life Sciences. Oulu-based Paras Biopharmaceuticals develops technology for Osteoporosis biosimilar drug & brings international investments. Expansion scheduled in Oulu. Paras Biopharmaceuticals Finland Oy Selected as First Finnish Company to Present at Cavendish Global Health Impact Forum. Paras Biopharmaceuticals wins the 2014 European Biopharmaceuticals Technology Innovation Leadership Award by Frost & Sullivan. Paras achieves quality, bio efficacy and potency in its Forteo Biosimilar product. Clinical studies to begin. Dr Hans Söderlund, Director of Global Strategic Alliance will be the Key-note speaker at "Reshaping Human Life Through Biotechnology" conference organised by the Gujarat State Biotechnology Mission (GSBTM), Mahatma Mandir, Gandhinagar. Paras Biopharmaceuticals facilities in Finland upgraded with additional equipment. New team members join Paras Biopharmaceuticals in its efforts to double-up and deliver quality biotherapeutics. Paras’ labs achieve high titers and production expression levels for anti-diabetic and osteoporosis recombinant therapeutic proteins. Paras Biopharmaceuticals expands its core- team of management professionals. Looking for strategic tie ups on technology licensing. Paras Biopharmaceuticals representative participates in “Business Innovations in Global Healthcare Program” in Harvard Business School (HBS), Boston, M.A, USA. 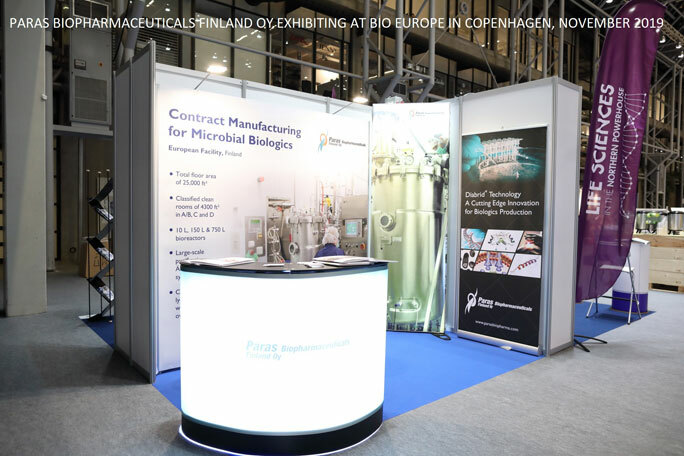 Paras Biopharmaceuticals Finland Oy successfully develops long acting analog insulin – Biosimilar with very high yield and process which gives way for its economical production at industrial scale. Clones developed by Paras Biopharmaceuticals Finland Oy stored in additional location in Germany. Paras Biopharmaceuticals Finland Oy completes Diabrid Expressions, visualization of Diabrid in E. Coli. The company achieves New Diabrid expressions and purification for therapeutic peptides/biologics of high value. Company filing PCT patents on Diabrid technology. Company invited to participate in Jefferies Global Healthcare Investment meets in New York (June 3-6, 2013). Technology development team of Paras achieves robust Crystals for Rheumatoid Arthritis product. Company team makes a successful trip to India to shortlist Joint Venture partner. Company in advanced discussion with technology licensing. A new & innovative approach incorporated into Diabrid expressions. Paras Biopharmaceuticals Finland Oy initiates discussions for possible patents / propriety use for expression of biopharmaceuticals. Gene code optimization achieved for Diabrid expressions. Paras Biopharmaceuticals Finland Oy collaborates with an expert lab group in the USA. Conceptual work on Diabrid Technology initiated.